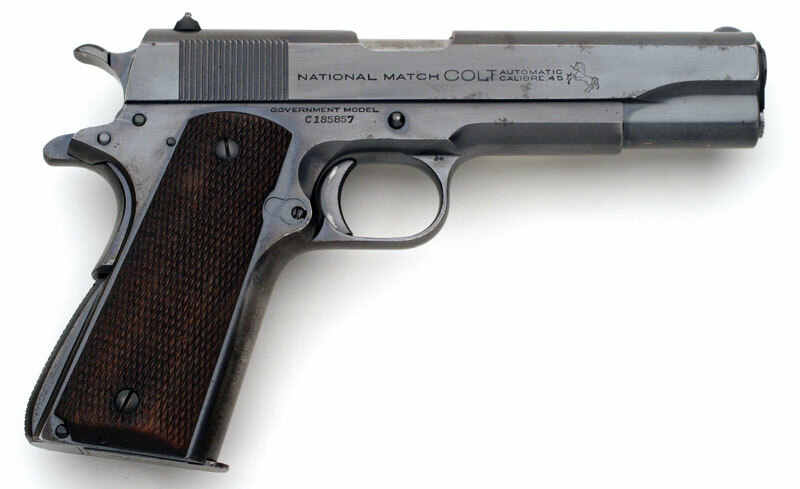 Colt National Match Serial Number C185857 without Swartz Safety and fixed sights, blued finish and checkered walnut grips. Slide is numbered to the frame. 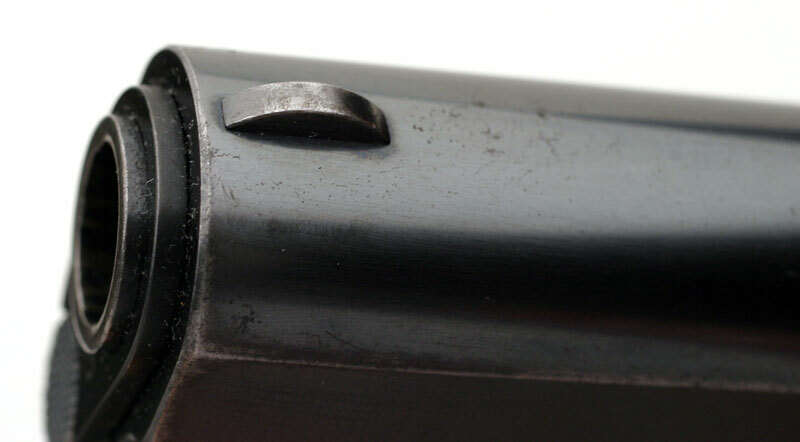 Pistol has original National Match barrel marked "COLT 45 AUTO MATCH" with "MB" in a circle on the left barrel lug. 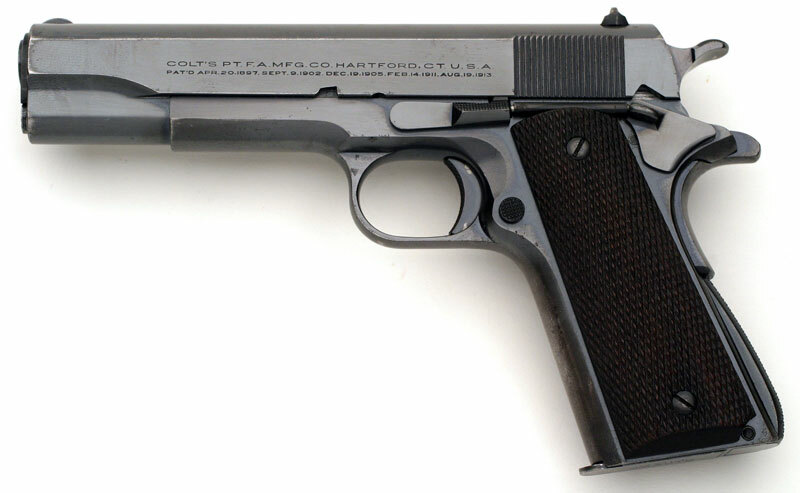 This Colt was sold to the City of Rome, Georgia and shipped as a one gun shipment to W.S. 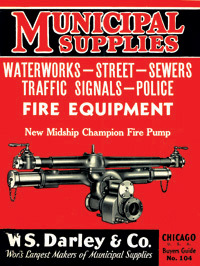 Darley, Chicago, Illinois on June 10, 1937. 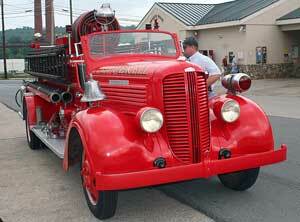 In 1937, Rome also acquired a new fire truck for the city from the Darley Company. 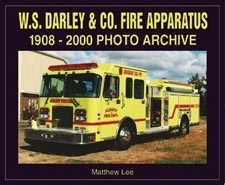 Since 1908, Darley has been dedicated to serving the world’s Fire and Emergency Services. Darley’s corporate headquarters is located in Melrose Park, Illinois. 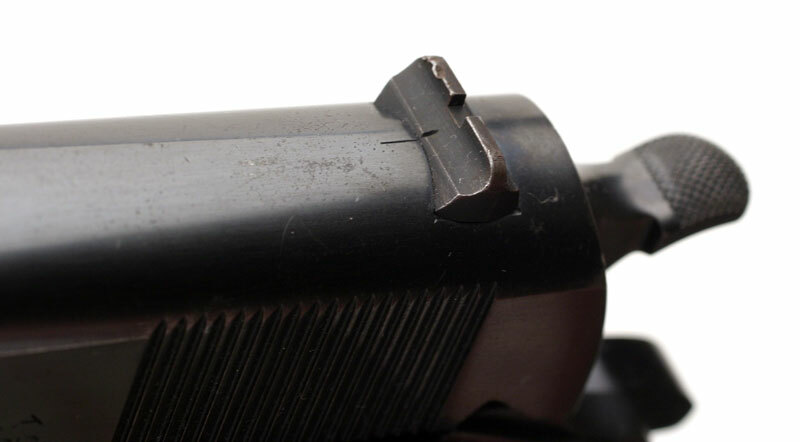 Colt National Match Serial Number C185857 left side. 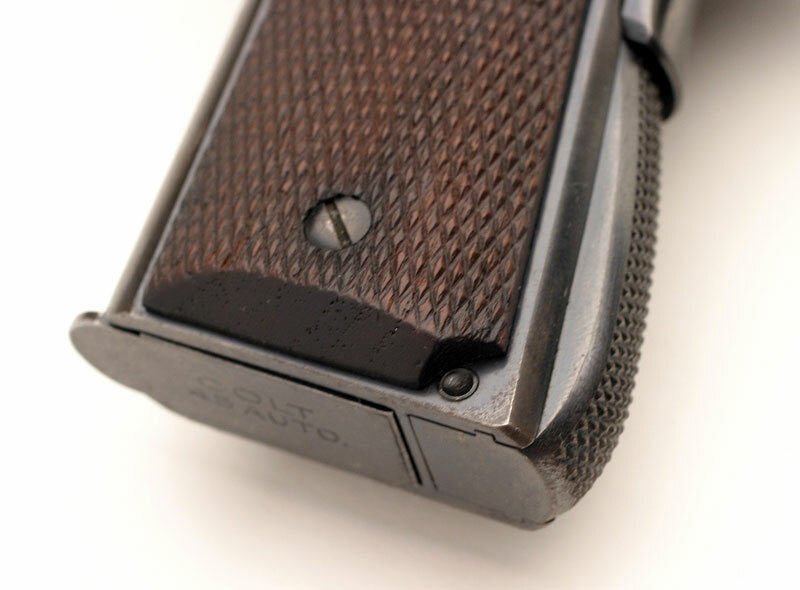 Front sight that was a standard option with the fixed rear sight. 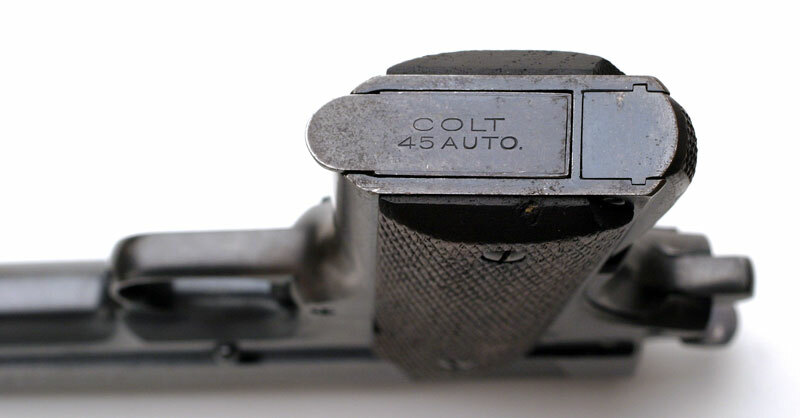 Original magazine marked "COLT" over "45 AUTO." 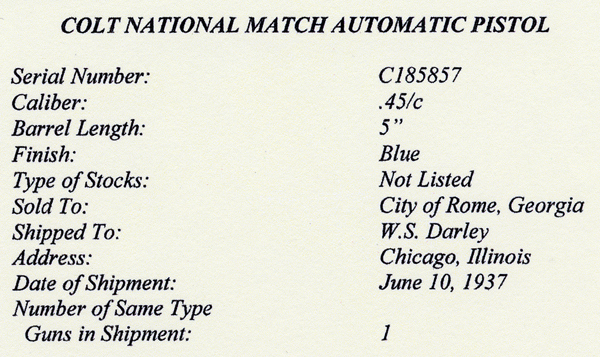 Notice that a standard feature of the National Match is that the mainspring housing is not fitted with a lanyard loop.